If you were at Wonder Con this past weekend you may have seen me there as Cortana or Female Link. 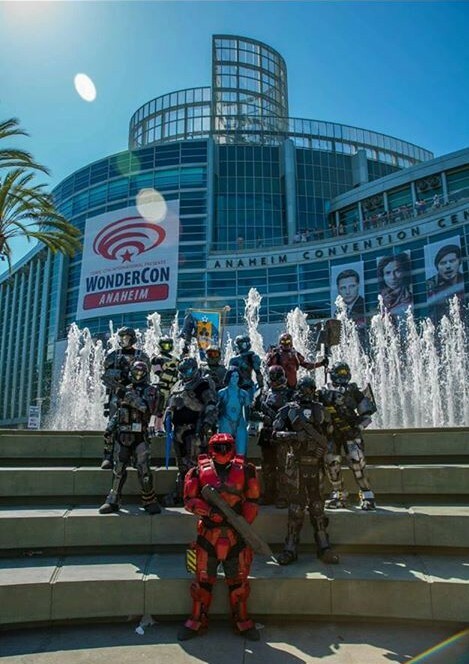 The 405th Pacific Costuming group was granted a booth and a panel this year. We invaded the convention with an army of Spartans, an arsenal of props, and a very sassy AI. We also had a fantastic group photoshoot (with the inevitable battle between Red and Blue Team). Unfortunately, the panel itself was set for Easter Sunday, so I was unable to attend. However, it was recorded and I expect it to appear on YouTube some time soon. Spending a weekend surrounded by Spartans was just the motivation I needed to get started on my own armor (there’s only 3 months until San Diego Comic Con… no rush). Expect a costume update soon! To see more pictures of my adventures at Wonder Con, take a look at the Photo Gallery.